Our “u-pick” blueberries will be ripe in early July. On our web site you will find information about our farm, information about our cookbook, nutritional information about blueberries, planting instructions, directions, and some links to other web sites of interest. Our farm is a u-pick farm and we welcome everyone! During the season we are open every day except Wednesday. Our hours are from sunup to sundown. All of our berries are sold by the gallon and we supply 1-gallon containers to use in the fields. However, you should bring a large container or box to carry your berries home. 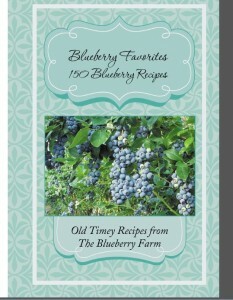 You will also find information about our unique blueberry recipe book (with over 150 recipes! ), various brochures, and other items of interest. Also, for your convenience, we have a portable potty. We welcome groups and encourage you to bring your children. We provide drinking water, picnic tables, and swing and lawn chairs for resting. Our current price per gallon can be found on our Facebook page. 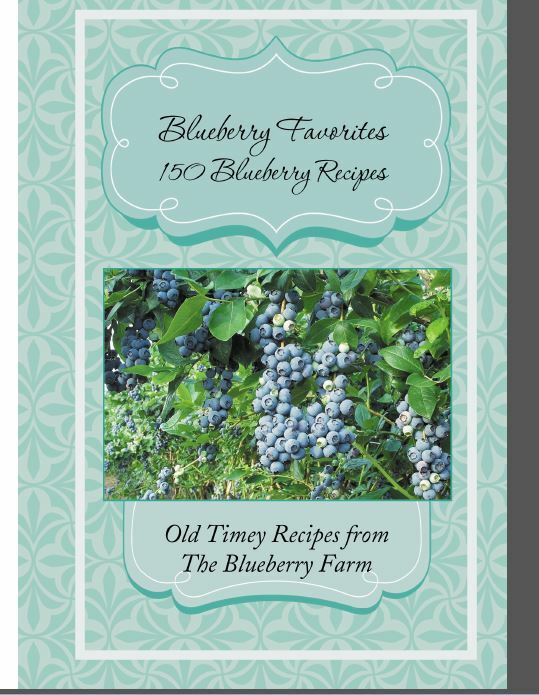 We now offer a Blueberry Farm original cookbook! 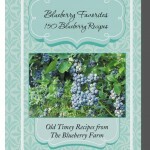 Blueberry Favorites: 150 Blueberry Recipes is an original cookbook written and designed by the folks at the Blueberry Farm. Head to our Cookbook page for more information and to order your copy! Blueberries have long been prized as a great tasting and value added fruit. They are low in calories, virtually fat free, a good source of fiber, and very high in antioxidants. Research has put blueberries at the top of the list of 40 fruits, juices and vegetables in antioxidant activity. Antioxidants neutralize the free radicals that contribute to heart disease and aging. Blueberries also contain over 40 cancer-preventive compounds, as well as vitamins C, E and beta carotene. Rabbiteye blueberries are the main fruit at our farm. We have approximately 1,000 plants of various varieties. Our blueberry season usually starts in early July and continues through August. 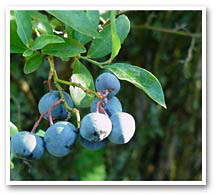 In addition to the berries, we usually offer a limited number of blueberry plants for sale during the winter months. Our farm also offers muscadines for pick-your-own customers during the season. The muscadine season is from late September until late October. We have several varieties of muscadines such as: Black Beauty, Supreme, Darlene, Fry, Nesbit, Scuppernong, Dixieland, Granny Val, and Cowart. We have both the bronze and dark types. At one time muscadines could only be found in the wild. But in the early 1800s a number of superior wild varieties were selected for cultivation. One of these was “Scuppernong.” Found on the Scuppernong River in North Carolina in 1810, it has become the common name for all bronze muscadines. Grapes and muscadines are among the world’s richest sources of ellagic acid (thought to help prevent cancer) and resveratrol, which helps reduce heart disease in the so-called “French paradox.” (Frenchmen with rich diets who drink red wine have much less heart disease than people in the rest of the world.) Muscadines are a great source of dietary fiber, too. We don’t sell muscadine plants, however, a number of nurseries propagate and sell muscadine plants. Fall is usually the best time to order plants. When planting, be sure to plant self-fertile varieties with female-flowered types for cross-pollination. For planting and care details contact your local Extension Service office. Buy online and enjoy no-hassle picking! Use the link below to buy your berries! You can leave your cash at home and come pickin'!. The Blueberry Farm updated their profile picture.